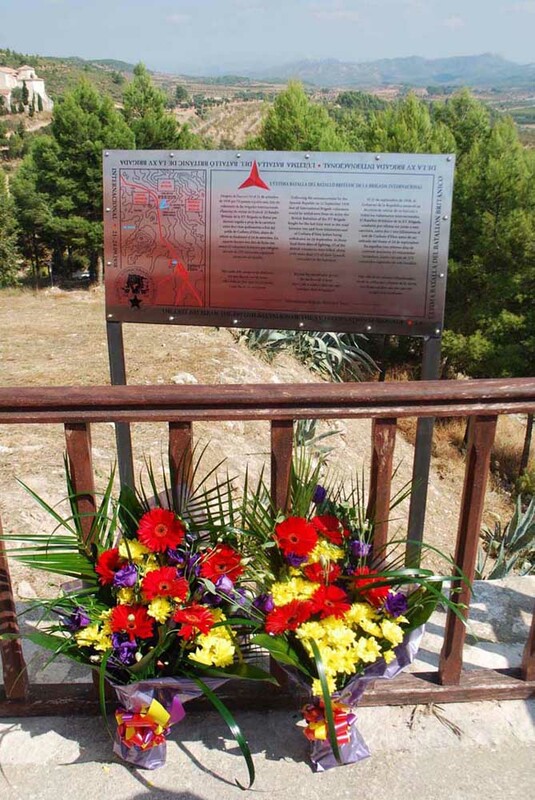 Situated next to the old church of Corbera d‘Ebre, a memorial plaque marking the last stand of the British Battalion in Spain in September 1938 was unveiled on 24 September 2013 by family members of those who took part in the Battle of the Ebro. 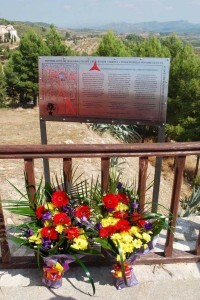 The plaque has been sponsored by the International Brigade Memorial Trust. A slideshow of photos of the unveiling can be viewed here. A fuller report appears on the IBMT blog.